How Many Points Is A DUI In Pennsylvania? | McKenzie Law Firm, P.C. Home » FAQs » How Many Points Is A DUI In Pennsylvania? You do not receive any points for a DUI in Pennsylvania. Instead, you receive fines, jail time, or a license suspension. If you are facing charges for driving under the influence of alcohol or drugs, it is important to understand how this will affect your driving record and, ultimately, many other aspects of your life. How does Pennsylvania track moving violation and DUI points? The Pennsylvania Department of Transportation (PennDOT) uses a points system to track moving violations accumulated by each person who holds a driver’s license in the Commonwealth. More egregious moving violations, including excessive speeding (3 to 5 points), failure to stop for a school bus (5 points), or speeding in an active construction zone (2 to 5 points) also carry automatic license suspensions ranging from 15 to 60 days. If you accumulate a total of 11 points at any time, PennDOT will automatically suspend your license. The length of the suspension will depend on how many times (if any) PennDOT has suspended your license in the past. If you are convicted of a Pennsylvania DUI, points do not apply. Instead, PennDOT will automatically suspend your license. The only exception to suspension is a first offense with a blood alcohol content (BAC) of less than .10. If the state convicts you of DUI, depending on the circumstances of your case, you may face up to 18 months’ suspension of your license, in addition to the potential fines, jail time, and related penalties. PennDOT regards drunk driving as a major violation, along with reckless driving, fleeing police, and accidents involving injury or death. If you are convicted of three major offenses within a five-year period, PennDOT will label you a habitual offender. Once you hit the third major offense, PennDOT will revoke your license for five years. Once PennDOT revokes your license, you must start over. That means, once your revocation period is complete, you must apply for a learner’s permit, take the driver’s exam and road test, and apply for a new license. In addition to these challenges, having a DUI on your record will also result in extra expense and hassle when obtaining auto insurance. Whether you have moving violation points or a DUI-related license suspension, auto insurance carriers have full access to all the information related to your driving record. Because not all states use the same point system (and some states do not use a point system at all), insurance carriers maintain their own methods for tracking your driving history. So, even though a DUI in Pennsylvania will not technically add points to your record, the insurance companies will know and will take note when considering whether to cover you and how much to charge you. How long does a Pennsylvania DUI stay on your record? For moving violation penalties, Pennsylvania drops three points from your record for every 12 (continuous) months of safe driving. A DUI conviction remains on your record permanently, with little hope of having the information removed — or expunged — from your record. Consequently, your DUI will remain on your record, where it will continue to complicate your life with dramatically higher insurance rates and, potentially, problems passing background checks for getting a job or renting a house. 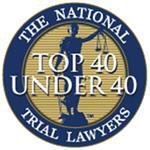 Related: Do You Need A Lawyer For Juvenile Court In Pennsylvania? Expungement of a drunk driving conviction, although technically possible in limited cases, is very difficult to achieve for most people. If you successfully complete an Accelerated Rehabilitative Disposition (ARD) program, you can petition the court for expungement. However, expungement is not guaranteed. Instead, you must apply and hope for approval, which judges grant on a case-by-case basis. Should I hire a lawyer if I am facing DUI charges? Depending on the circumstances of your case, a DUI attorney can identify potential problems with your arrest or areas of weakness in the prosecutor’s case against you. Your attorney may find ways to negotiate your charges down to a lesser offense or even have the charges dismissed. If you can plead to a lesser offense, you might find yourself with points on your record. However, points on your record are better than a DUI charge any day. And if you can avoid committing any further moving violations or driving under the influence, those will drop off soon enough. Call the McKenzie Law Firm, P.C. to speak with a DUI defense attorney in Pennsylvania. We provide professional, compassionate legal representation for clients facing Pennsylvania DUI charges. Contact us today to schedule your complimentary consultation: 610-680-7842.